Server List and Login credentials saved on login screen. 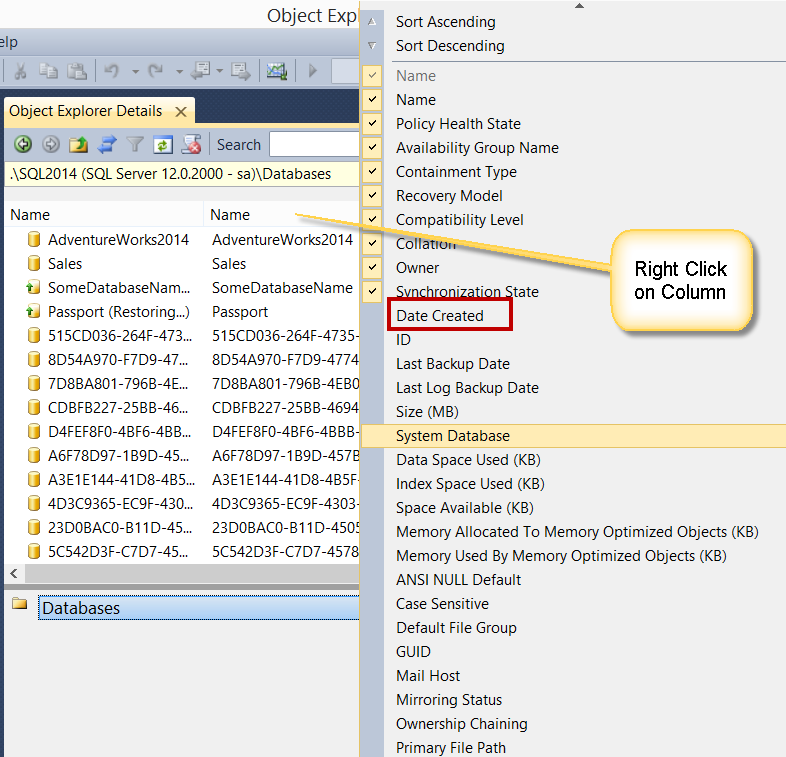 Settings change in Object Explorer Details like sorting and ordering of columns. All setting which are saved under Tools > Options in menu bar. This all information is saved under file SQLStudio.bin. 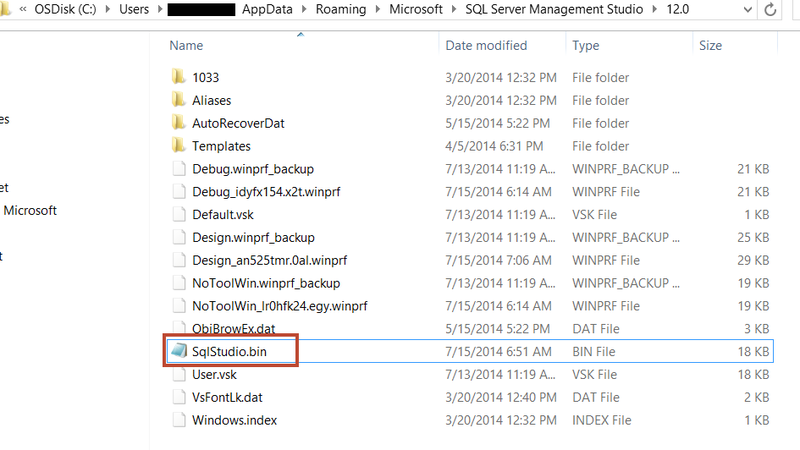 Below is the file in SQL 2014 Management Studio. 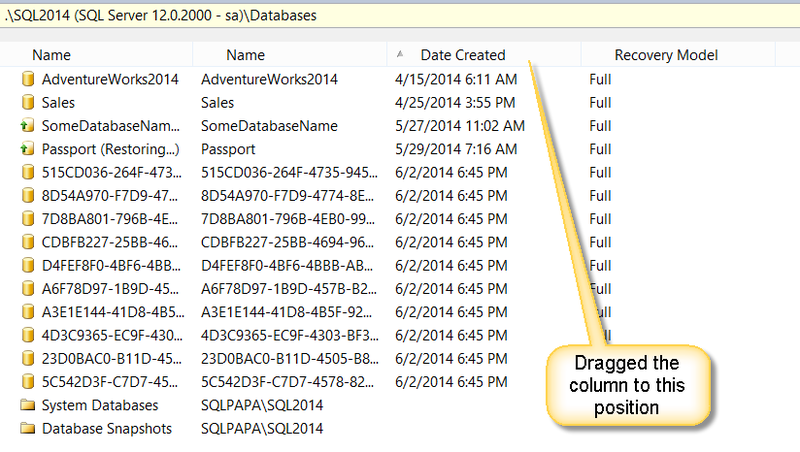 SSMS Tip: How to drop multiple objects? Have you even been into situation where you have to drop many tables in a database? Or drop multiple databases? As a developer, you might right click on each table/database and choose “delete”. If you are equipped with little T-SQL knowledge, you might write a script to do the same. Do you know that management studio can do it? 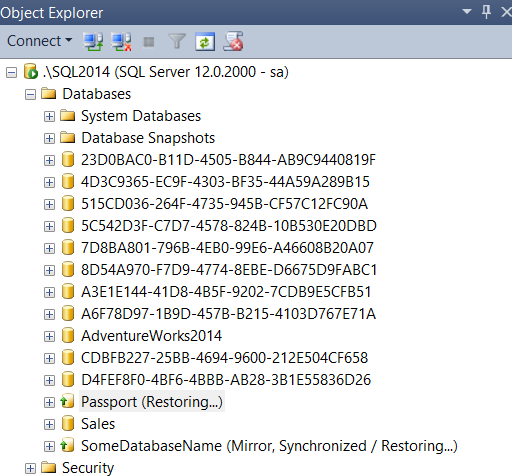 Let’s create multiple databases and learn the trick. I have used NEW_ID to get completely random name of databases. Once the script if executed, I have below in my management studio. Your databases would definitely be different. Now, my task is – drop those databases which are created today. Without knowing the trick, one would get all databases name by query and then right click on database, choose delete. That would open a new window and we would choose “close existing connection..” and again hit OK. This has to be done 10 times. Now, here is my way of doing it. Use Shift key to choose all objects next to each other. 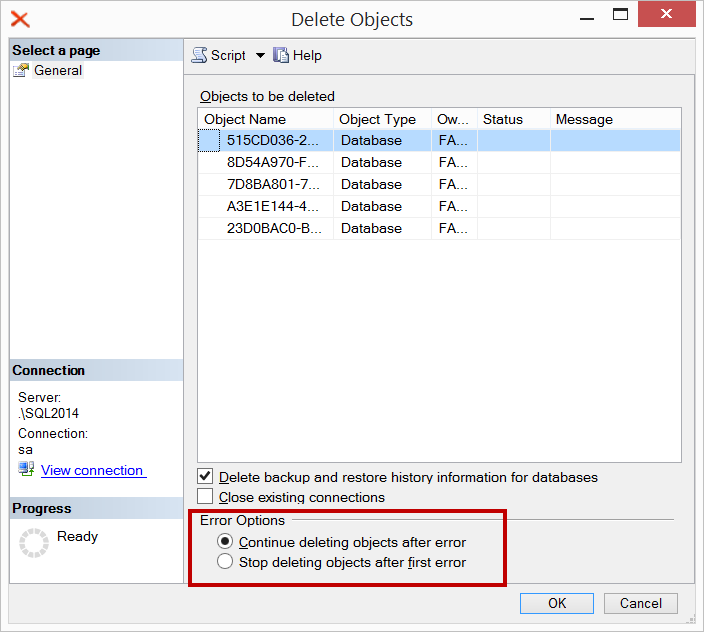 Once desired objects are selected, use right click and choose delete. Simple. huh? And once we choose delete, we get “Delete Objects” dialogue box which is similar to single delete. We can choose the desired option and hit OK.
Again, choose multiple tables in OED, right click and delete. I always felt that SQL Server Management Studio is one of “unexplored” and “underestimated” tool in SQL Server Product. 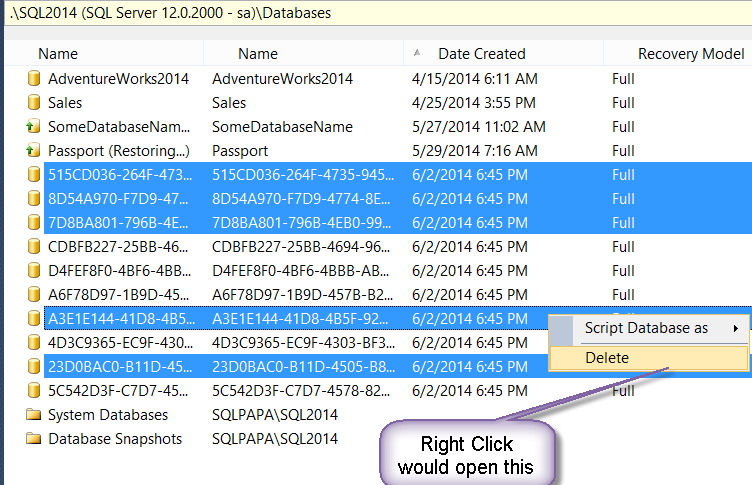 Hope this blog has shown a little “hidden” gem of SSMS. If you know any such trick, please use comment section to share your knowledge.